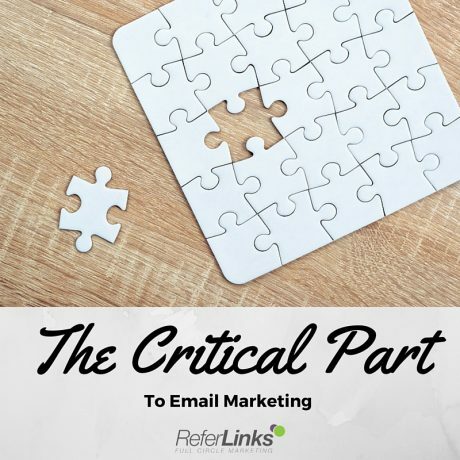 When deciding the when and the how of an email marketing program there are a lot of considerations that need to be taken into account. What are you trying to sell? How often would a client want to hear about your business? What are you adding to the customer’s experience by sending it out? These are all questions that need to be answered in a way unique to your business. However, there are important parts of an email program that are applicable regardless of your specific needs. Once you decide on the correct interval to send out emails stick to it. As with web content consistent updates are key to keep your brand fresh in the minds of customers. If you’re going to go monthly hit at the same time every month – this will create an expectation which will lead to greater interaction. If you start firing out emails every other day or you take far too long between emails you’re very likely to have someone unsubscribe. A customer needs a reason to open up the email you send and you can encourage this by making sure your emails contain good value for their time. This can be financial value through any new promotions you may have on offer but for some businesses value can be provided in less obvious ways. Having entertaining and enlightening content can often be enough to encourage interaction – and will create a greater likelihood of the client opening future emails. The exception to the regular interval rule is if something critical happens that your clients need to know about. If you’ve switched ownership, have opened a new location, or are offering a brand new service readers should be made aware with special one-time email detailing the change or update. Make sure to tout your successes and seasonal sales in your emails. If you sponsor a children’s hockey team, talk about it. If you’ve gained affiliation with an important industry body you should explain that. If there’s going to be extra treats available for kids who come in on Halloween week, make sure to mention it. An email should act as a window to what makes your business special. An email marketing program should contain all of the above but it should cater to the unique attributes of your business as well. If you need an expert team to help you design the perfect email marketing campaign for your company contact us at ReferLinks FCM today. This entry was posted in Email Marketing and tagged Consistency,Important Updates,Value on November 23, 2015 by ReferLinks Online Marketing.